Sara Frisk is a well-traveled and cultured individual, originally born in Seattle to Danish parents, moving to Montreal, Copenhagen, Colorado, then back to Copenhagen, then off to Sweden, Switzerland (for schooling at a Hotel & Tourism School), back to Colorado, off to Chicago, and then back to Colorado again, to stay this time. Studying Sales & Marketing while interning at the Brown Palace, helped pave the way for working in the sales department at both the Hyatt in Denver, and Wyndham Hotel in Chicago. Upon returning from Chicago, Sara worked for a beverage consulting company in Evergreen, where she headed up an import company, importing beer, wines and spirits from Europe, as well as taking a large part in opening a large brewpub in Vail, Colorado. In 2003 she decided to put her creativity and knowledge of sales and marketing to use, and opened Bjorn Productions, Inc., a website and graphic design company. Sara has clients spanning from coast to coast, helping companies both large and small realize their internet potential. Sara has worked with the City of Brighton, helping to launch the Brighton Arts, Culture & Tourism website, as well as helping with Special Events Department, and the Brighton Recreation Center, and continue to have ties with the Brighton community. 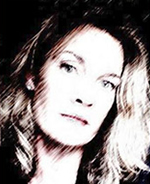 In May 2015, Sara was recruited to join the Brighton Buzz team which she has eagerly embraced. 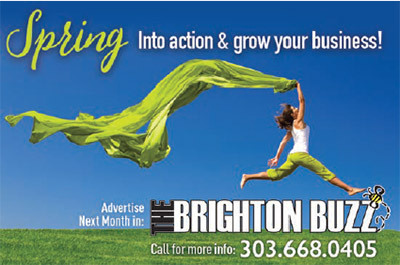 And is excited to help Brighton businesses continue their growth within the community and beyond. Sara married her high school sweetheart in during the blizzard of 2007, and is blessed with two children, Charly and Eddy who both attend Holy Family High School in Broomfield. Sara is continually involved with community projects, always trying to give back to the community as they have given so much to her. In her off time you can find Sara driving around in her convertible mini-Cooper, as well as singing and playing the piano and guitar, and playing super-mom to her kids.